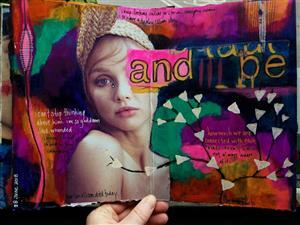 Crack open your journal and let's get your hands moving and grooving across the pages. I'm often asked the question, how do you get started? How do you get past creative blocks? How do you keep your work fresh? How do you generate ideas? If you've asked yourself any of these questions, then this is the workshop for you! The main goal of this workshop is to engage creative play. 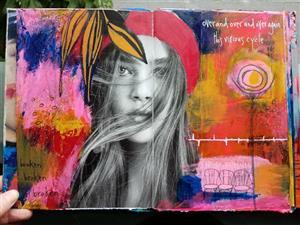 Explore new techniques in collage, paint, layering, mark making, journaling and more. 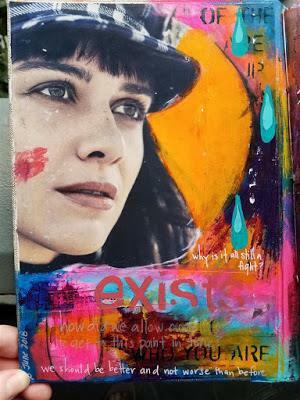 We'll combine these techniques to create an original, one of a kind art journal page along with several samplers that can be used as reference material, collage material for your pages or actual pages themselves.